I think it's being a bit overly harsh about the concept, a humanoid robot would be very useful for construction. Also poking fun at the visuals is a bit much, C3POness aside gold is commonly used to stop heat from solar radiation and the current Mars rovers are gold too it's just not noticeable since its under their solar panels and Mars is orange. Also I doubt it would look anything like that by the end if the project has only been underway a few months then they wouldn't be that far. Right now we have a team of people uploading programming to robots. It takes heaps of planning and so on to just move the damn thing, let alone all the coordination for more advanced stuff like taking rock samples.It would be better to have a direct connection to a person. The operator wears a suit with a motion capture system and maybe some basic tactile feedback and a pair of stereoscopic VR goggles. Since it's on the Moon almost real-time control would be possible. 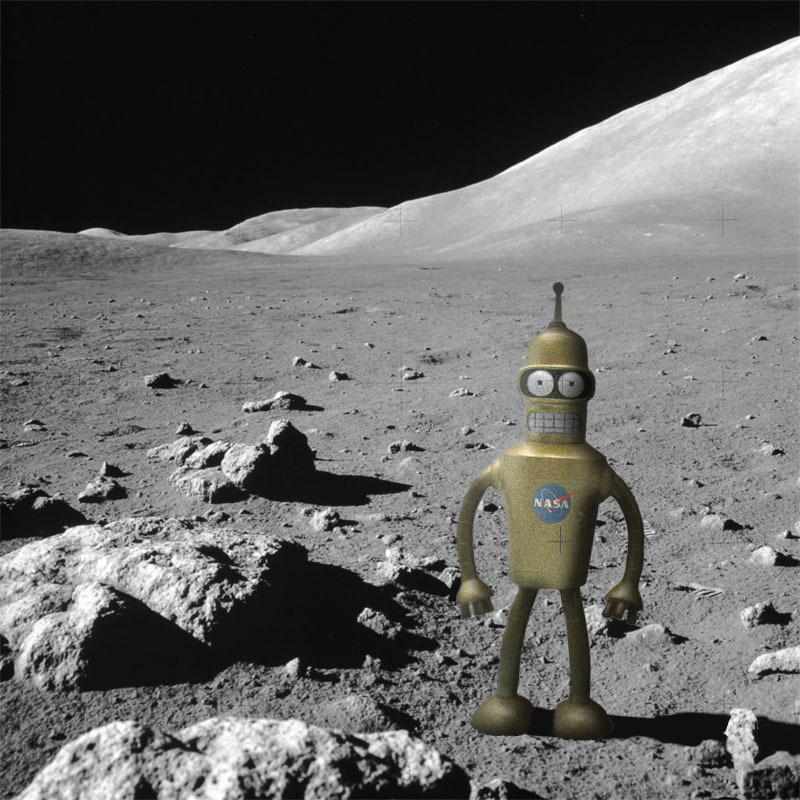 Since there is less gravity on the Moon, it should be easier to have a walking robot.In addition to that, if the robot is capable of tool use, there is no need to reengineer a new robot every mission. You don't have to care where the chemical sensor is, spend heaps of time making a robot arm with the whole purpose is to shovel a few scoops of dirt and so on. You just design a tool that can be picked up when needed.In addition to that, the robot looks cheap, which means they can send a few. Since it's only the Moon it takes a few days to arrive.But construction would be the main thing. Send a team of robots to the moon with tools and supply's (which can be restocked basically as needed since it's fairly close) to build a Moon base. Control the robots in almost realtime. Then when the base is ready you can send the people. It could also be used on Mars, with Russia planning a base on Phoebos, they could operate the things from their, or orbit rather than land people, they could build the base first. Granted the first robot might not do much more than look at rocks and be a PR stunt, but its the beginning of the technology. PR is also quite important, most people don't care about space exploration, and generally have the attitude of using the money to fix Earth problems first.Also remember that robotics is an area likely to undergo rapid development over the next few decades, so even if the first one is clunky and such, the one in 20 years time might be much sleeker. Moon mission within 1,000 days of approval to proceed such a mission was sparked by the news from LCROSS regarding lunar water. Previous Previous post: “Project M”? Let’s Not.